Bonnie St. John and her daughter Darcy Deane shared a journey that admittedly took them through doors they never dreamed would open and on adventures that changed their relationship forever. They traveled the globe interviewing women who weren't afraid of change but actually embraced it and thrived; all the while taking their dreams and professional aspirations along for the ride. 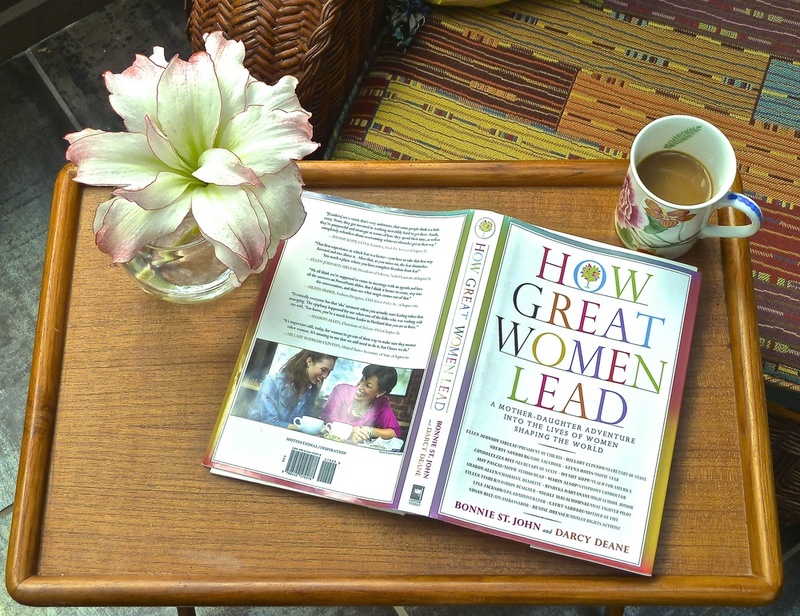 I choose to re-read parts of this book as often as possible, because absorbing the inspiration found amongst this band of sisters, is not only inspiring, but powerful. "Come along with Olympic skier, amputee, and bestselling author, Bonnie St. John, and her teenage daughter, Darcy Deane, on an incredible mother-daughter adventure into the lives of some of the most fascinating women shaping our world today. You’ll go behind the scenes at Facebook headquarters, inside the State Department in Washington, down the red carpet of a Hollywood movie premiere with Brad Pitt and Angelina Jolie, into a home-spun tortilla factory in Nicaragua, backstage at The Jon Stewart Show, mingling with athletes at the Paralympic Winter Games, shopping in London, into the cockpit of super-sonic fighter jets, and through many other exotic and exciting locations."